Corals know how to attract good company. New research finds that corals emit an enticing fluorescent green light that attracts the mobile microalgae, known as Symbiodinium, that are critical to the establishment of a healthy partnership. The study led by researchers at Japan's National Institute for Basic Biology and the ARC Centre of Excellence for Coral Reef Studies at James Cook University (Coral CoE) sheds new light on the mechanism that brings corals and Symbiodinium together, for example, following a bleaching episode. "Most reef corals can not function without Symbiodinium," said Shunichi Takahashi from the National Institute of Basic Biology. "Following the back-to-back mass bleaching events, images of bleached white coral contrasted with healthy, vibrantly coloured coral were widespread. 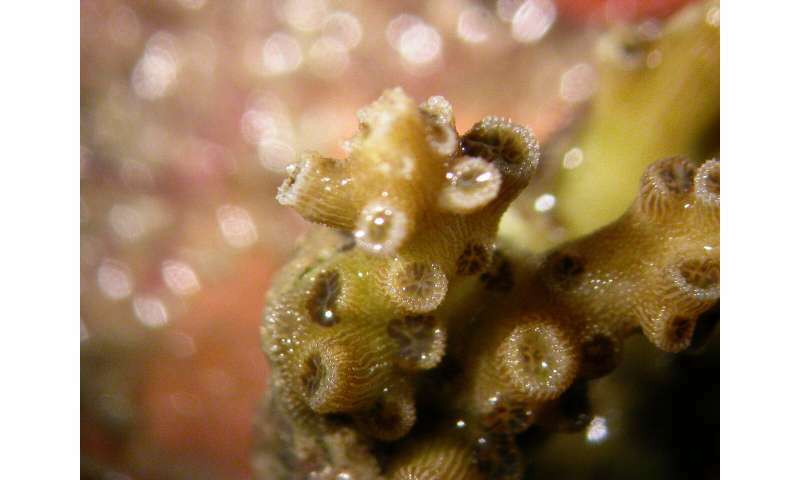 The key difference between the two is the abundance of Symbiodinum in the coral's tissue. Without sufficient Symbiodinum, which provide corals with nutrients via photosynthesis, the coral will starve." But what brings the two organisms together? Corals are stationary creatures, however Symbiodinium can move freely through the water column. 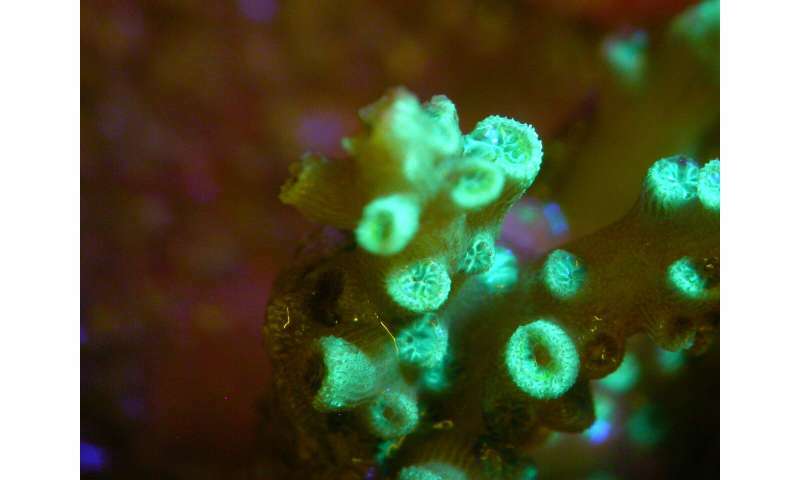 The researchers used the chalice coral, Echinophyllia aspera, to test whether the green fluorescent light emitted by corals under certain conditions can signal the Symbiodinium in the water column to move towards them: a process known as "positive phototaxis." "Our research identifies a novel biological signaling tool that underlies the success of a relationship essential for healthy coral reef ecosystems, " said Prof Baird.